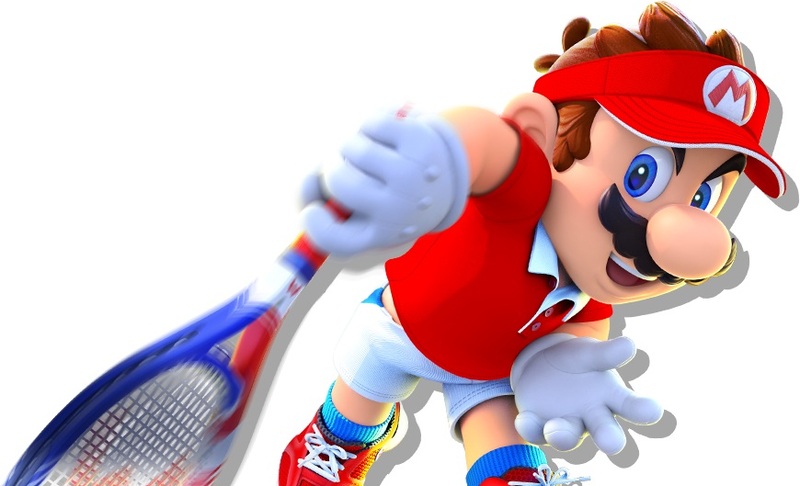 Today, Nintendo opened the official website for Mario Tennis Aces in Japan, revealing additional details about the game, as well as some gameplay footage, and more. 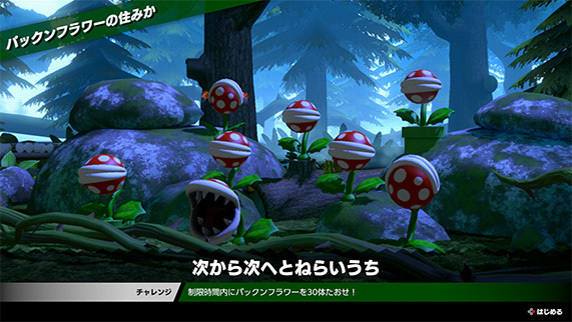 We even got a date for the pre-launch tournament announced during the latest global Nintendo Direct presentation! 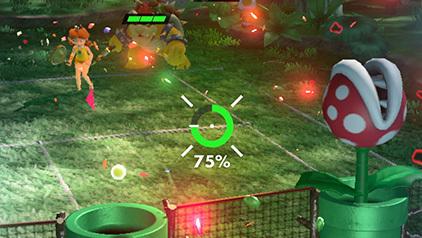 As explained during the Nintendo Direct earlier this year, the key element of gameplay in Mario Tennis Aces is the Energy Gauge. 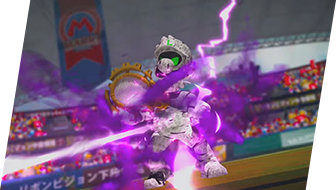 It allows you to pull off various special moves, which is why managing it is crucial: knowing when to use your energy and when to save it will make the difference between a victory and a loss! 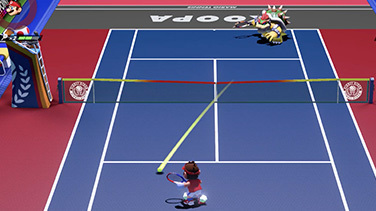 Technical Shot: you can use it to hit a ball from far away, and get some energy. 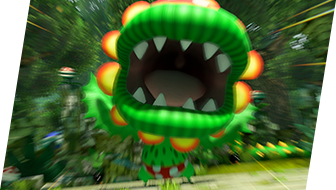 However, it’s definitely risky: if you’re too slow, then you will lose energy instead! 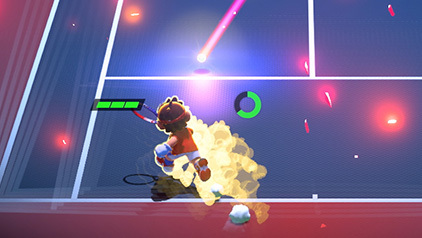 Using your Energy Gauge, you can pull off various moves, that allow you to do things such as being able to hit the ball towards any place you want on the court, or instead hit back a particularly tricky shot from your opponent. How you decide to use your Energy is key to victory! 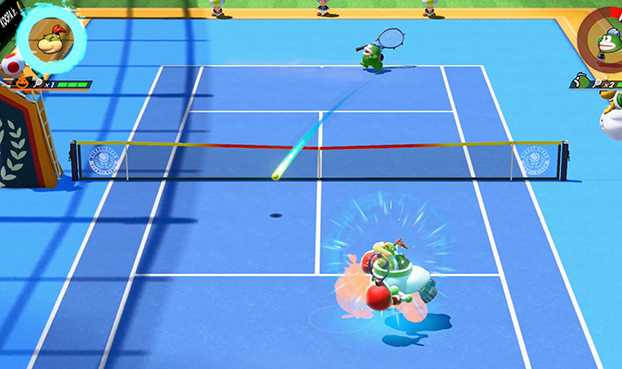 you can destroy your opponent’s racket by purposefully aiming for it using Zone Shot. 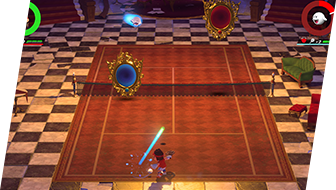 Once your opponent’s racket has taken too much damage, it breaks. And when all their rackets are destroyed, it’s Game Over for them! 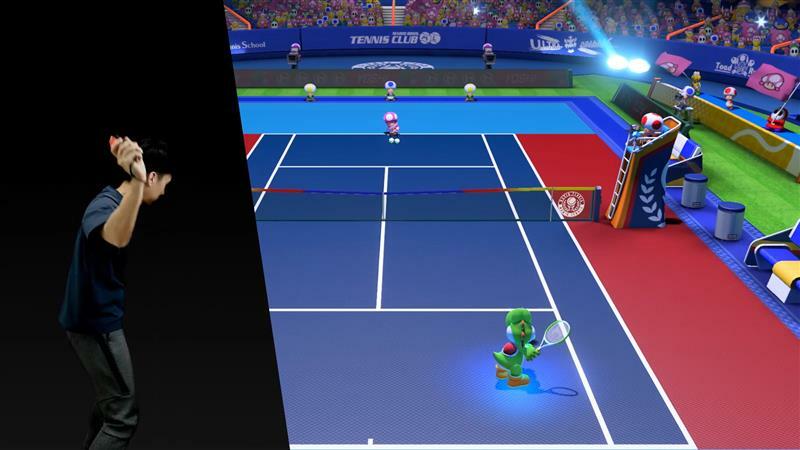 Block: no matter how powerful your opponent’s shots may be, you can block them (preventing your racket from taking any damage at all) with the right timing. You can use speed-up for that if you want. 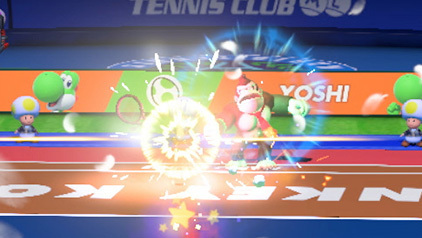 When you want to deal a strong blow to your opponent, you can use the Special Shot: it uses up most of your Energy Gauge, but if you get the timing just right, you can destroy your opponent’s racket in one blow. Be careful though: it can be blocked, though it’s obviously easier said than done (especially with how fast the ball goes). 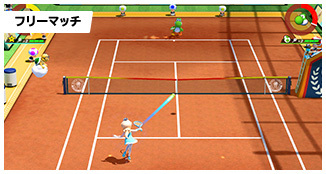 Free Match (Singles, Doubles): free matches for 1 to 4 players. 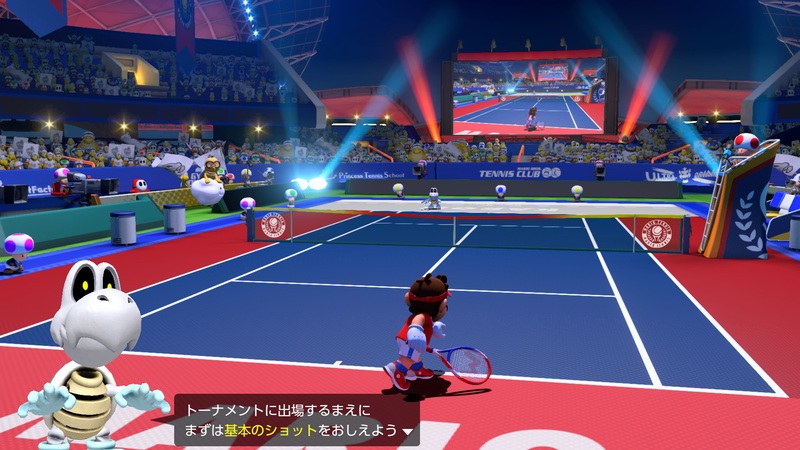 You can change various settings, including the difficulty level (for CPU), whether or not players can be KO’ed (when their rackets break), etc.. You can play on your own, or with friends via local multiplayer: Singles for 1 vs 1, and Doubles for 2 vs 2. Of course, you can also play via the internet, with friends or complete strangers. 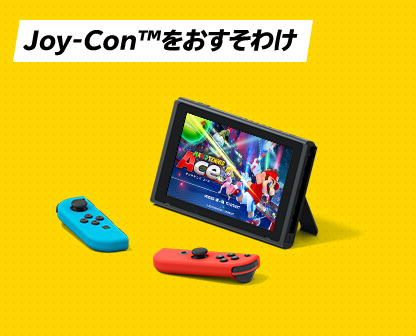 With just one console, you can play in TV, Tabletop (one Joy-Con per player), or Handheld Mode. 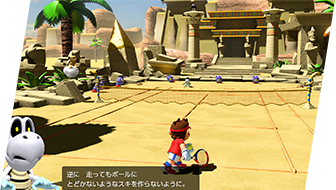 Tournament (Singles): a tournament where several players compete in order to become the best. 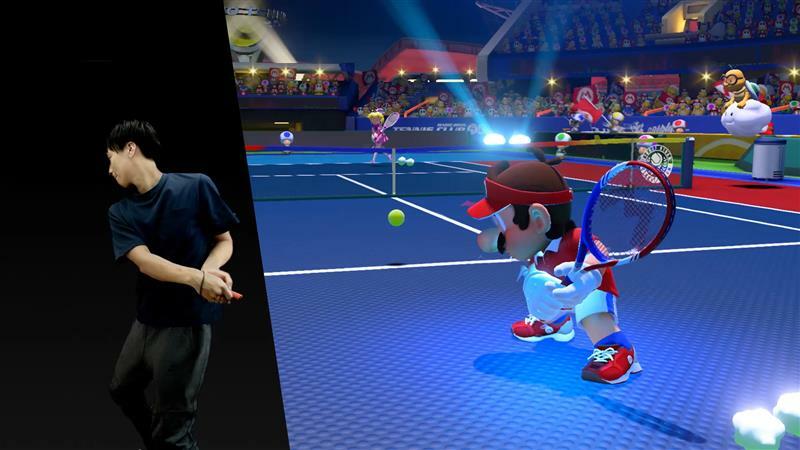 During matches, live commentary from Toad really spice things up! You can play tournaments online, with monthly tourneys. During those monthly tourneys, you can participate as many times as you want, and at the end, the results are announced: your ranking is naturally based on the amount of points you got. 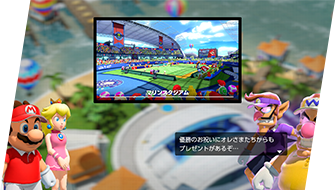 You can also play offline tournaments, where you have to aim for the very top. 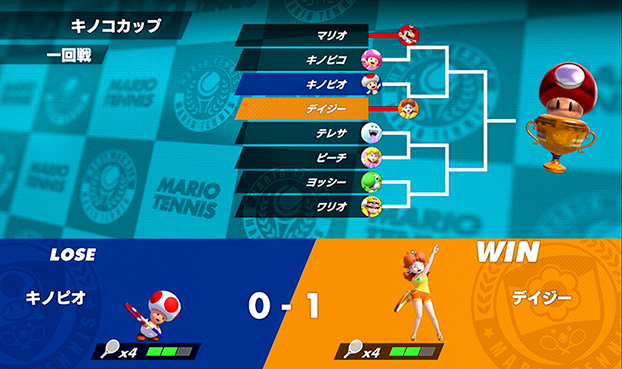 There’s 3 tournaments to choose from, though at the beginning, only one is available: you have to win your way in the other two (which are more difficult). 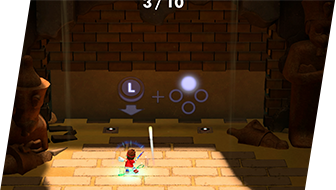 Swing Mode: a mode where you can play using motion controls. 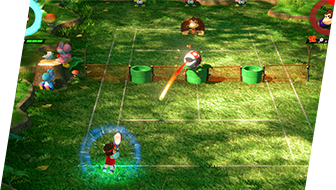 Perfect for players who just want to have some fun with friends or family members, Wii Sports-style. 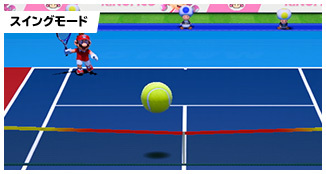 By the way, in Free Match and Swing Mode, you can choose between several special rules, including one with a big tennis ball. 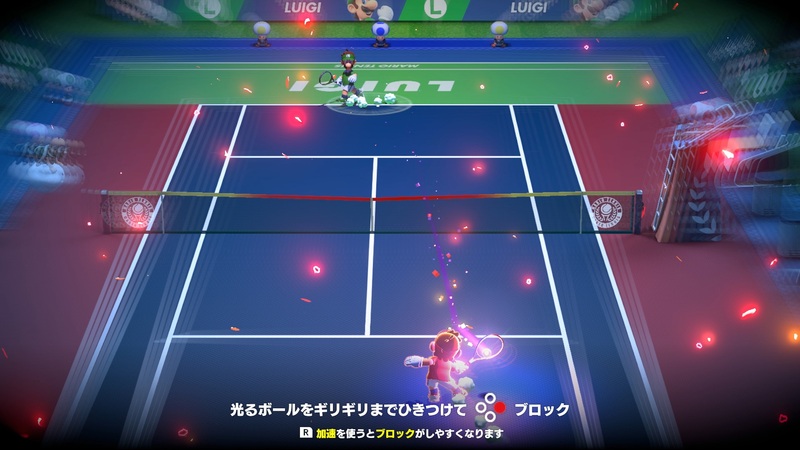 And in Free Match, you can choose to go with “simple” rules, which are as close to actual tennis rules as you can get in Mario Tennis! 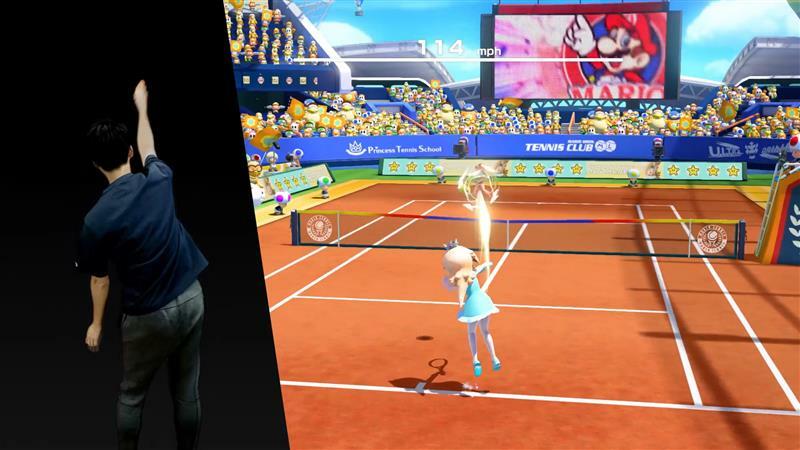 For the first time in a long while, Mario Tennis Aces features a Story Mode. The official website allows us to get some details about the story! 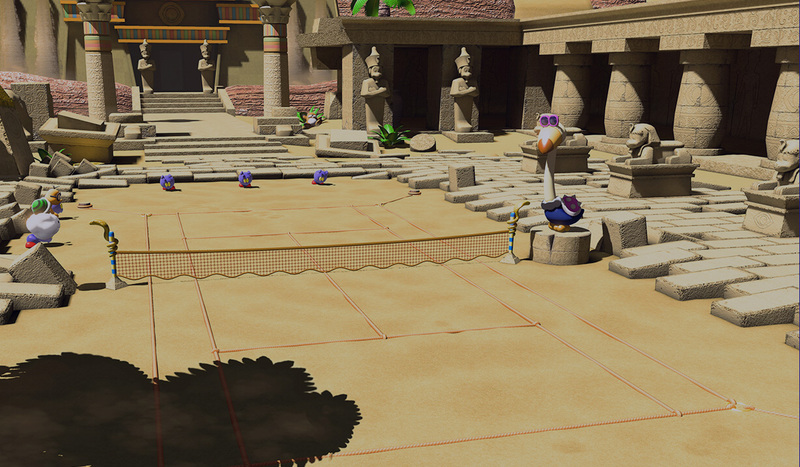 It all starts on day, during a match: a mysterious racket brought in by Wario and Waluigi starts causing chaos. 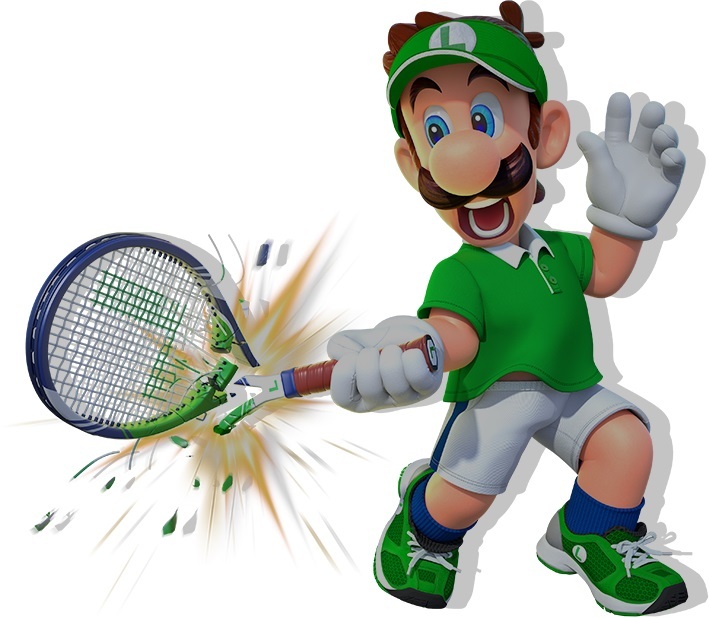 When the chaos subsides, everyone realises that Luigi, who was using the racket, has gone missing… just like Wario and Waluigi! 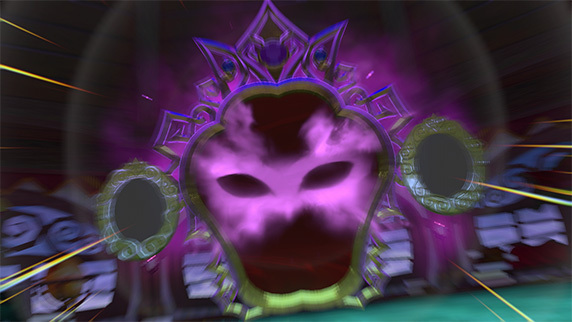 That’s when Toad explains that the racket brought by the evil duo actually has the power to manipulate people. 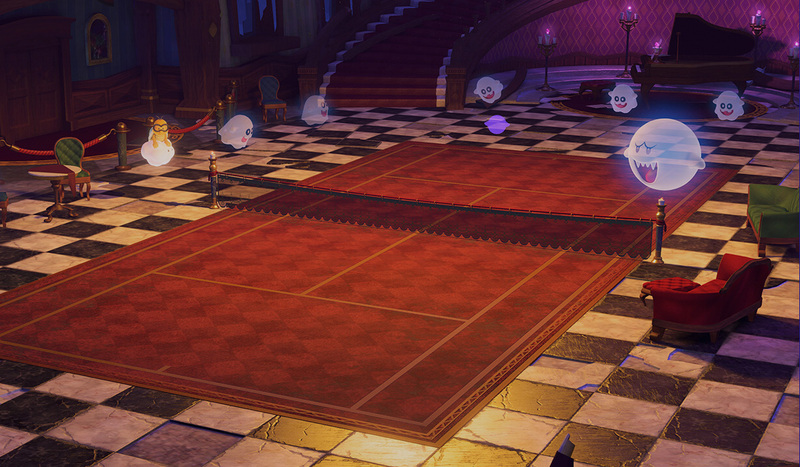 In order to save his brother, and uncover the secrets of the mysterious racket, Mario has to go on a journey. 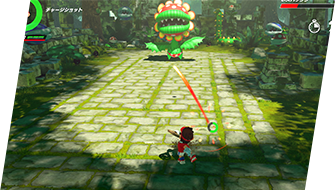 During his journey, Mario will have to tackle various missions. In order to clear those, simply winning isn’t enough: there’s generally special conditions you have to meet. 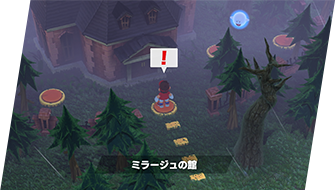 The difficulty level of missions also varies, from Easy to Advanced. 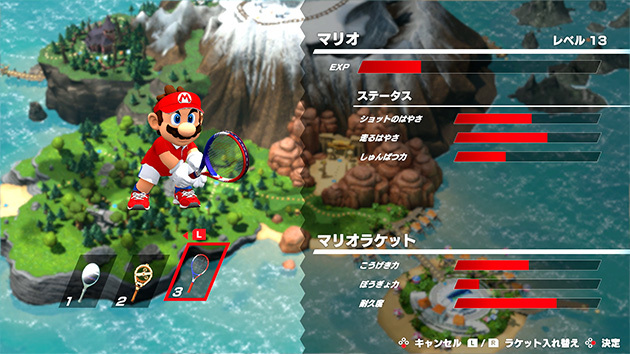 Clearing missions allows Mario to get some EXP, improving his stats. 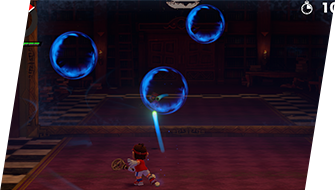 You can also get additional rackets, which basically serves as “lives”: when you run out of them during a mission, it’s game over! One thing to keep in mind is that characters within a given type have their own special traits. 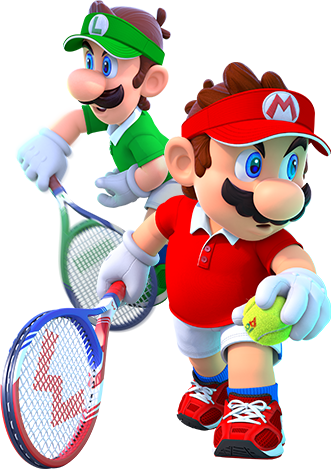 For example, Mario’s shots are slightly faster than Luigi’s, but he’s not as good as his brother when it comes to volleys. 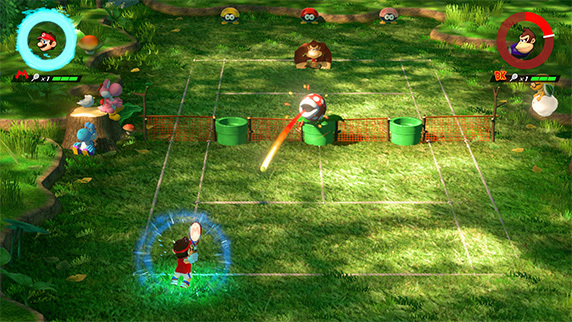 Indeed, Luigi is the character to go with when playing near the net. 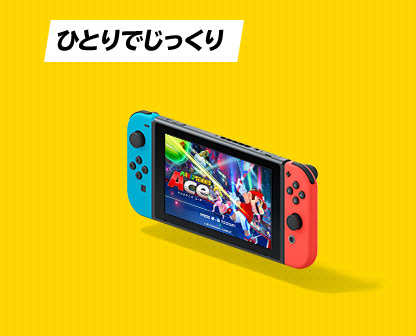 In order to participate, you will have to download the demo version, available from the Nintendo eShop from late May (similar to the Global Test-Punch for ARMS). 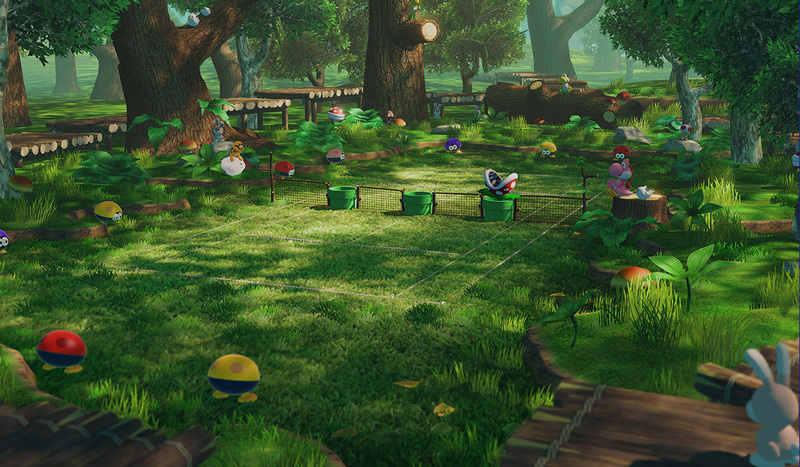 The matches will use the standard rules, with 2 games and 1 set per match (with each players only getting 2 rackets). 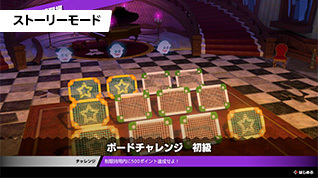 The demo version includes a tutorial section, allows you to get used to the controls and gameplay. 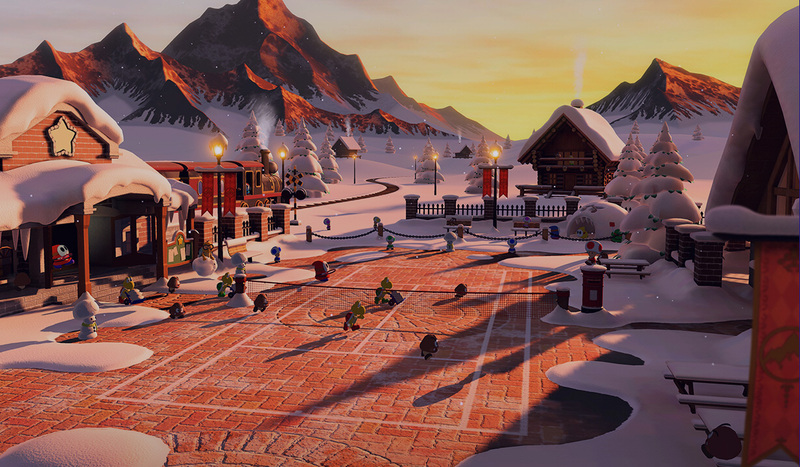 In all, up to 9 characters can be used in the pre-launch tournament/demo, but you need to unlock the remaining by racking up points! 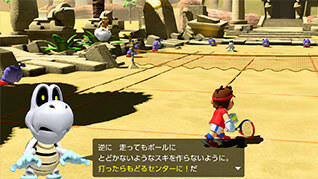 The results will be announced at a later date, once the tournament is over. 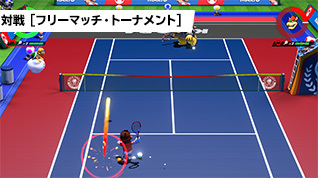 The rankings are based on the number of points you got, which depends a variety of factors: whether you won or lost, how many points you got during a match, how many rackets you have at the end of a match, etc.. You can play as many matches as you want while the tournament is live. 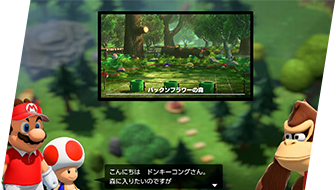 Players get a special outfit for the full game simply by participating in this tournament: Mario in overalls (his “regular” outfit). 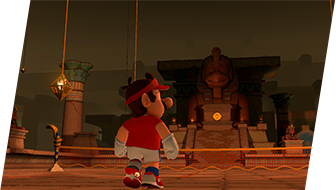 You need to keep the save data from the demo and transfer it to the full game, so make sure not to delete it if you want the outfit! 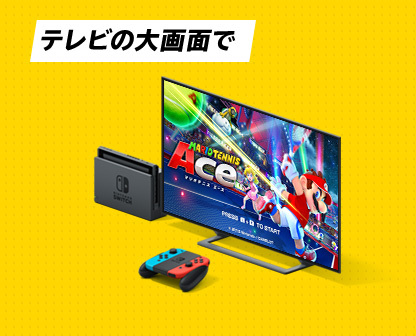 In Japan, the top players will also be invited to a special tournament to be held on June 24th: the Top Players Tournament. 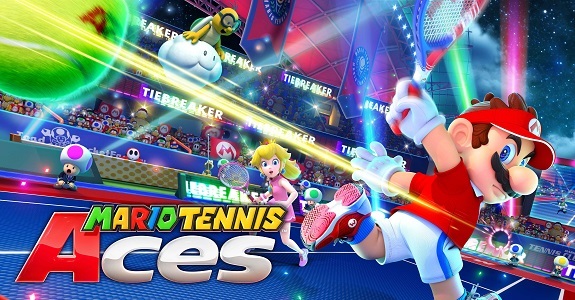 Mario Tennis Aces (Switch) comes out on June 22nd worldwide.